Can one woman save an immortal race on the brink of extinction? When his brother is assassinated and the P.I.A. 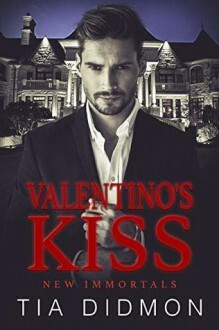 is called in to investigate, Valentino vows to avenge his murder before seeking his death but the new agent sent in to interview him changes everything. With his demon awakening for a woman that shouldn’t exist and an unseen foe seeking his destruction. Can this predator tame the beast within long enough to ensnare the heart of the only human alive that can save him?